Over a thousand British citizens were killed and over three thousand were wounded by Zeppelin bombing during the course of World War I. In Churchill’s War Against the Zeppelin 1914-18 Leon Bennett explores the development of the airship, the efforts to defend Britain against the attacks, and Winston Churchill’s role in these efforts. The text is accompanied by nearly 200 illustrations. As First Lord of the Admiralty in the early years of the war, Churchill was responsible for defending Britain against all attacks, not only from the sea but also from theAviation air. He was instrumental in proposing and sponsoring a variety of measures, including defense by carrier and by flying boat. Unfortunately, while these measures proved successful in the long run, they took too long to be fully developed in time to be effective as an immediate defense against the Zeppelin attacks. Politically weakened by the Gallipoli disaster and the Zeppelin, Churchill had to resign. It would take another war to restore his reputation. Leon Bennett has written extensively about aerial combat during World War I in his books, "Three Wings for the Red Baron", "Gunning for the Red Baron" and "The Fall of the Red Baron" and in numerous articles. In researching and writing his books, Leon Bennett draws on a lifelong interest and experience in the many facets of flying and aerodynamics. Trained as an aeronautical engineer, he spent many years as a research scientist and did ballistics research during his military service. His understanding of the Zeppelin’s many virtues and drawbacks has been helped by his experiences as a glider pilot and airplane modeler. Leon Bennett specializes in military history with a focus on World War II aviation. 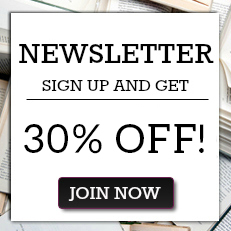 "book has a laudable visual representation to accompany the text. The nearly 900 entries in the notes section are an excellent resource for further information on topics covered in this book. 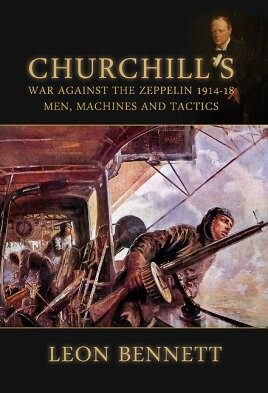 From cover to cover, Churchill’s War against the Zeppelin 1914-18 - Men, Machines and Tactics is “the completest thing.”"